Often it is the finishing touches that make a room, which is why we place a heavy emphasis on splashbacks that are decorative as well as functional. Coloured glass gives great scope and versatility to your decor, providing building blocks of colour, texture and interest to revive existing kitchen schemes or provide key motifs in new ones. An inexpensive luxury touch that’s makes an impact time and time again. With us, the process is simple. We can provide you with a splashback that is tailor made to the size of your space and you can choose from our array of best selling designs or have a splashback colour and image created entirely bespoke for your kitchen. Our Manufacturing process: The image or colour is digitally printed onto the back of the glass and encapsulated with a protecting finish. Any shaping or cut outs required are processed in the glass before toughening. The Glass is ‘baked’ twice after it has been painted then allowed to cool for 24 hours and is tested before delivery. We recommend our Fitting and Templating service™ when creating something extra special - for example, a larger shape or an extended image beyond the standard splashback dimensions. We simply book one of our expert teams to come and measure your kitchen, bathroom or whatever area you would like to install our stunning product. From initial template, it normally takes around 3 weeks to complete the installation. Please get in touch to let us help you! Welcome to the home of ceramic tile solutions. Established in 1872, Craven Dunnill has a long standing and unrivalled reputation for the supply and specialist manufacture of fine ceramic tiles. Stocking one of the widest product selections from the leading manufacturers around the world, the portfolio is synonymous with luxury and style. With over 125 years of experience, Craven Dunnill offers the complete service, with a unique one-stop shop approach for all commercial and domestic tile requirements. The company is relentless in its pursuit of excellence. We understand the importance of individuality, and our design experts are on hand to help you find the perfect solution. Hi. 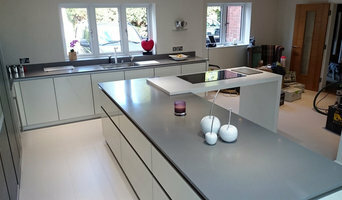 bespoke kitchen worktop fabricators and fitters. Specialists in Solid Surface, Quartz, Granite & Solid Wood. Fully approved and certified Corian, Samsung Staron, Krion, Mistral, LG Hi-Macs, Hanex, Avonite & Encore Worktops. 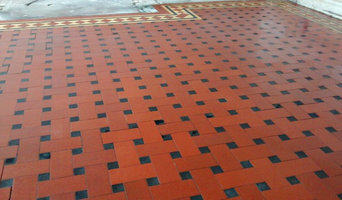 Tile & Stone medic offer complete solutions for tile, stone and man made hard floor maintenance. Our restoration solutions cater for floors in any state, from simple polishing to full stripping and sealing. Our strength is in our extensive knowledge of the specific cleaning and maintenance requirements of luxury flooring materials. Our knowledge enables us to offer the highest quality of work by tailoring our work for best results in each space we work in. We provide our services throughout the UK. If you're looking to create a feature wall in your home, we have just the products for you. UK Feature Walls specialise in feature wall tiles - brick effect (brick slips, brick veneers) and decorative stone (split face, stacked stone) tiles. We deliver all over the UK and also welcome collection from our store in Walsall. BluePrint Ceramics is a UK tile supplier and distributor of high quality tiles to commercial clients in the UK and internationally. We are a distributor and supplier of high quality ceramic tiles, porcelain tiles, mosaic tiles and natural stone. 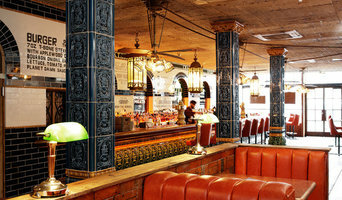 The team at BluePrint Ceramics have a wealth of experience as tile suppliers and distributors in the UK and have worked with architects, interior designers, contractors and property developers on an extensive project portfolio to date. We have supplied high quality tiles to organisations such as Hilton, Primark, Westfield London amongst additional high profile clients. During our time working within the UK tile industry, BluePrint has established essential relationships with global tile manufactures throughout Europe and the Far East. These relationships ensure that we have supplier and distributor rights to the latest and most innovative tile ranges available. We constantly strive to bring the latest tiles to the marketplace and ensure we are present at tile exhibitions worldwide to meet with new suppliers and clients alike. The BluePrint Ceramics tile range includes a variety of different tiles to ensure any project can be catered for; this includes Ceramic Tiles, Porcelain Tiles, Glass Mosaic Tiles, Metal Mosaic Tiles, Travertine and natural stone. Our tile collections consist of both wall tiles, floor tiles and we are considered specialist suppliers of swimming pool tiles within the UK. Our success to date has been achieved by streamlining the specification process to ensure our clients, suppliers and hauliers deliver on budget and within specified deadlines. 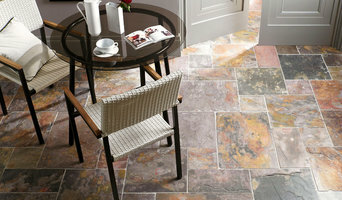 We look forward to assisting you with your next tile specification. I have been in the tiling trade for over 20 years and provide a reliable, professional service that caters for most types of projects from a kitchen splashback to a complete large home, from top to ground floor. Experienced in working with designers/architects and the homeowner to create exactly the desired results. Worcester Tile is an independent tile supplier and tile importer with a showroom and warehouse on the outskirts of Worcester town centre. We have been in business for over 30 years and have a reputation built on recommendation. What do we do? We not only supply ceramic, porcelain, natural stone , mosaics (ceramic, glass, metal and natural stone), fire surrounds, hand painted range cooker surrounds and Victorian tiles, but we also provide a fixing service using our own experienced tilers and offer a 12 month fixing guarantee with every project we carryout. Our tiles are sourced from every corner of Britain and we also import direct from the manufacturers across the World to bring you the very best in choice and variety. We carry stock of quality adhesives, grout, sealants, trims, tools and accessories along with wet room kits and underfloor heating. We have a large showroom with room sized displays, large floor displays and we also carry the majority of our tiles in stock. 78% of our customers being referrals and recommendations or repeat custom, we are proud to be local, independent and we really care about our customers. Granite Transformations Hinckley & Market H'Boro. 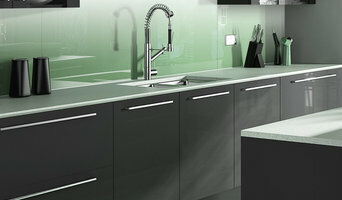 Granite, Quartz and Recycled Glass Worktops that fit over your existing worktops. Our superior worktops are heat, scratch and stain resistant and come with a lifetime material warranty. No fuss, no mess, no disruption and fitted in a little as one day. Coupling state of the art manufacturing techniques with time served traditional craftsmanship, we are perfectly equipped to meet the need of both residential and commercial clients, using a wide range of materials carefully selected from our long established suppliers worldwide. Stone & Earth are specialists in the design, manufacturing, and fitting of bespoke solid surfaces for your kitchen and bathroom. Our customers choose us because we are experienced stonemasons delivering high quality craftsmanship at fair and competitive prices. Each project we undertake is unique and tailored to the individual needs of each customer ensuring that specific requirements are met at each stage. Beautiful tiles retailed at reasonable prices. Stockists nationwide. Worktop installers and tilers in Birmingham, West Midlands can advise on the best tiles and materials to use based on your tastes and requirements and then will be able to install them to a high finish in your home. Kitchen worktops are a major part of your kitchen – you need surfaces that will be scratch and heat resistant, but at the same time still look attractive and work in harmony with your kitchen units, splashback and other kitchen elements. A worktop manufacturer and installer will be able to fit new kitchen worktops or replace old ones with ease, helping you to pick out the best kitchen worktops for your home first. Tiles are so versatile that they can be used in kitchen splashbacks, floors, bathroom walls and as decorative designs elsewhere in the house. Tile manufacturers and tilers in Birmingham, West Midlands will have a great range of tile designs, sizes and materials to choose from and will help you to pick the best tile for the job. Laying tiles may look easy sometimes, but one badly laid tile can ruin a whole floor or wall, so it’s really best to leave it to a skilled tiler. With Houzz you can find Birmingham, West Midlands tilers, tile manufacturers and worktop installers near you and check their previous projects, reviews and ratings to decide if they’re a good fit for your home design project. Why should I hire worktop installers or tilers in Birmingham, West Midlands? Perfectly laid tiles and worktops can look simple and seamless once finished, but installing them is far harder than it looks. It really pays off to hire a Birmingham, West Midlands tiler or worktops professional as they will have the experience and expertise to finish the job efficiently, quickly and to a high quality. From metro bathroom tiles and porcelain tiling, to kitchen worktops, splashbacks and travertine floor tiles, there will be a tiler or worktop professional who can install the surface you need for your bathroom or kitchen design. There will even be tile and worktop repairers to help you if you need a quick fix-up to your surfaces. Tile manufacturers, worktop professionals, and often tilers in Birmingham, West Midlands themselves, will also be able to advise you on the right materials to use if you’re not decided on one particular type. They can tell you the advantages of the different flooring, wall tiles and kitchen worktops so you can make the right decision for your home. If you’re after a bespoke tile pattern, mosaic or mural created and laid in your house, this will also be possible with Houzz as we list such a wide range of tile manufacturers, worktop professionals and tilers in Birmingham, West Midlands. It could be the case that you can find a design or construction company that can offer tiling and worktops as part of their work, whilst also undertaking other projects for your house redesign, so it’s worth looking out for these professionals, too. Here are some related professionals and vendors to complement the work of tiles, stone & worktops: Interior Designers, Architects & Building Designers, Main Contractors, Kitchen & Bathroom Designers, Design & Build. Find a tiler or worktops professional on Houzz. Narrow your search in the Professionals section of the website to Birmingham, West Midlands tilers and worktop installers. You can also look through Birmingham, West Midlands photos to find projects you like, then contact the contractors or tilers in Birmingham, West Midlands who worked on the tiling work or kitchen worktops.